Back Pain When Breathing: Is it actually to beware your Health? Back Pain When Breathing: Is it actually to beware your Health? Back Pain When Breathing: Is it actually to beware your Health? Back pain is a common occurrence to the human body considering the various activities we engage in. But when the pain in your back strikes as you breathe, this discomfort can be alarming. It seems like the pain is here to stay, especially so when the sensation arises as you breathe. There are several factors that might be the cause for the back pain when breathing, some of which have serious implication to your health. Breathing comes as an inherent process to sustain life. It enables you to deliver oxygen into the body and to remove carbon dioxide. It can be both conscious or unconscious breathing. Despite the classification, breathing is part of our day to day life, which is supposed to be pain-free. 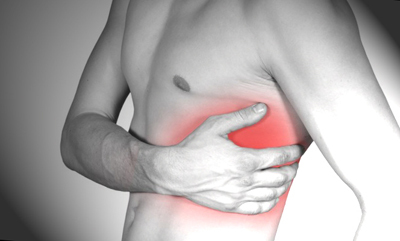 The occurrence of pain when breathing has to be checked as it may entail an underlying serious condition. This is why it is important to know when a back pain when breathing is something to worry about or not. Let us help you learn more about this type of pain as we answer essential questions below. 2 What can you do to ease the pain? 2.1 What are natural ways to alleviate back pain when breathing? 2.1.1 ​Reduce pressure on the back. 2.2 When should you see the doctor? One common cause for an upper back pain when breathing is a sore muscle. When we breathe, not only do we involve our lung and diaphragm, but also the back muscles. As we breathe, our muscles are exposed to spasm. When you feel pain the back as you breathe, it may be because of a pulled or sore muscle. Another culprit for the back pain when breathing is a strained rib. It is caused by the up and down movement of the rib as we breathe in and out. There must be synchronized between the rib and the lungs. In some instances, however, the ribs become stuck preventing enough air to fill in the lungs, thereby affecting the necessary gas exchange. When your body is unwell, particularly your rib, you are more likely to experience upper or middle back pain when breathing. Other causes for strained ribs are strenuous arm movement, repeated coughing, and even poor posture. Even an infection causes a painful sensation in the back as you breathe. The more common is pneumonia, which a lung infection usually triggered by an influenza virus. When a person suffers from pneumonia, he or she gets fever and experiences shortness of breath. Painful breathing arises when it reaches the outer surface of the lung referred to as pleura. When there is inflammation or lack of fluid in the pleura, breathing hurts. As the diaphragm moves up and down, the organs adjacent to it, which have been affected by the virus causes the pain in the diaphragm. If you are suffering from spinal stenosis, then this might be the reason why you feel pain in the back when breathing. Breathing problems that include lower back pain when breathing is just one of the symptoms of a spinal stenosis where the ligaments and bones put pressure on the nerves around the spine. More caution should be observed since spinal stenosis and lung cancer share painful breathing as a symptom. There are different ways to ease or eliminate the pain. While back pain when breathing can be alarming, it is likewise of significance to realize that it does always mean that you are in a highly risky situation. There are medication drugs available that may be prescribed to you by your doctor. Of course, the approach varies depending on what causes the pain. In some cases like those caused by sore muscles, the pain just goes away after some time. For the pain caused by a thoracic spinal problem, the solution involves decompression or by necessarily pulling the spinal segments apart. There are ways that improve rib to spine mobility and techniques or exercises that strengthen the upper back, which is the most common portion of the back that is affected. In the most serious cases, the need for surgery comes about. What are natural ways to alleviate back pain when breathing? Back pain in breathing gets away or heals depending on the extent of pain and considering what brings about such pain. Medical solutions are always available to treat the same. Nevertheless, there are also natural ways you can do to alleviate the pain. ​Reduce pressure on the back. Whether you are active or not, we normally put pressure on our back. Even if we just sit, we are already putting some pressure on the same. To alleviate back pain when breathing, minimize the amount of unnecessary pressure on the back by finding back support product. This is not something new when we talk about self- and natural treatment for any body ache or pain. 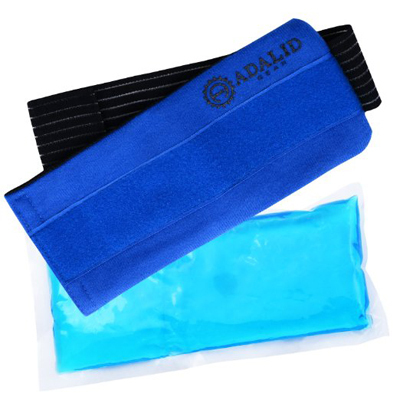 Cold or ice pack helps numb the pain, while heat compress stimulates blood flow and soothes the pain. Contrary to the more common reaction of staying still, staying active and moving brings a more desirable relief. You can choose best shoes for back pain. This however does not mean that you deprive yourself of some good rest. As much as we want you to stay calm when dealing with painful breathing, the supposedly painless breathing process makes it more difficult to deal with. The level of pain varies, such as sharp pain in back when breathing or back pain when breathing deeply. Although experts say that not all these pose a serious threat to your body, it is better to be sure than sorry. If you start to feel that the pain worsens after a while or that it has lasted you a couple of days already, or when it comes intermittently, then it is best advised that you see your doctor. This way, they can give you the proper medication or advice to best resolve the back pain when breathing. You know something is wrong with your body when an unusual, constant, or intermittent discomfort or pain arises. One of the more common types of pain is the back. There are those which can be alleviated by herbal oil, cream, pain reliever, or getting some rest. But when back pain comes as you breathe, this is where things get serious and worrisome. Considering that we breathe consciously and unconsciously, all day and all night, back pain when breathing should not be overlooked. The pain may be present in the different portion of your back. Some would complain of a pain in the right side of the back when breathing, while some consult with the upper left or right back pain when breathing. As it has been explained in the earlier part of this article, there are few possible causes of the discomfort, each with their own nature and attributes. Thus, the approach may necessarily vary from one person to the other highlighting the importance of paying your doctor a visit.